The Commanders Jazz Ensemble from the United States Air Force Band of the Golden West are scheduled to land in Weill Hall at the Green Music Center Wednesday, Oct. 11 at 7:30 p.m. for a free concert with the Sonoma State University Jazz Orchestra as part of the 6th annual Jazz Week hosted by Jazz Program Director Doug Leibinger. Led by Senior Airman David Julian, a trombonist, the Commanders is a select jazz big band that performs traditional jazz, cool, bop, swing, Broadway and patriotic music. 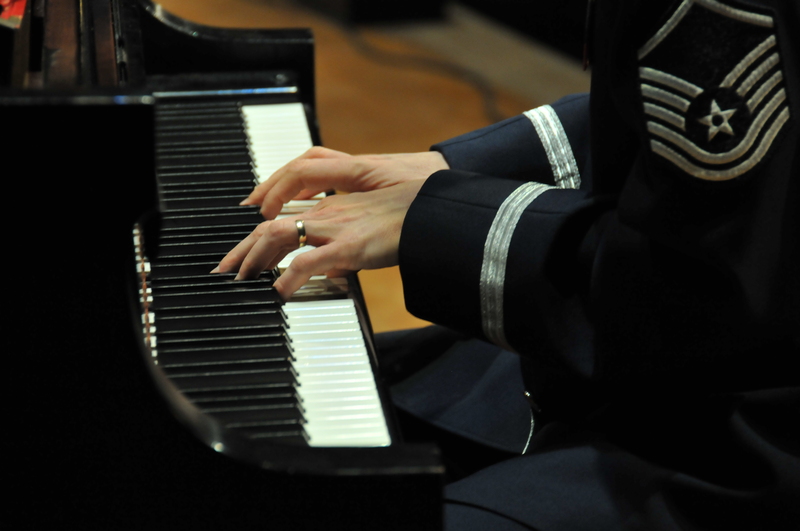 Each of its 18 members is a professional Air Force musician working in support of Air Force and Air Mobility Command out of Travis Air Force Base in Fairfield, CA. The SSU Jazz Orchestra, led by Doug Leibinger, will feature classics like “The Girl From Ipanema,” “Split Kick” and “Crazy,” arranged for big band by Leibinger and SSU Jazz majors. The concert is free, but tickets are required. For more information call the university box office at 707-664-4246 or email tickets@sonoma.edu.